Mission: To advance the science of tribology and the practice of lubrication engineering in order to foster innovation, improve the performance of equipment and products, conserve resources and protect the environment. STLE was founded in 1944 and serves more than 13,000 individuals and 250 companies and organizations that comprise the tribology and lubrication engineering business sector. Members research, develop and market the methods and products that make industry more successful and that enhance the well-being of people worldwide. They are employed by the world's leading corporations and academic institutions and by governmental agencies dealing with science and technology. STLE publishes a monthly general interest magazine and a scholarly journal. Published monthly. Created to support the technical education and professional development of STLE members and industry colleagues. Through print and digital editions, TLT reaches some 13,000 lubricant professionals each month. 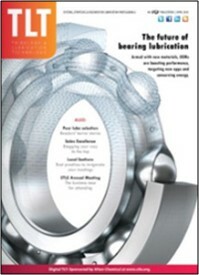 Includes feature articles, best practice analyses, industry surveys, interviews with leading lubrication professionals, emerging-technology reports, and lubrication fundamentals tutorials. STLE's bi-monthly scientific journal contains peer-reviewed experimental and theoretical technical papers on lubrication, friction and wear of materials from the macro- to the nano-scale. 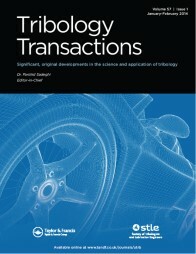 Tribology Transactions has published more than 2,000 papers of relevance to a wide variety of industries and is read and referenced by thought-leaders in the field of tribology in countries around the world.